As a consultant at SmartBug, I spend a lot of time discussing websites with clients. Websites are fun, helpful, and probably the best tool that a company has as its disposal. But there are things you need to keep in mind as you start designing, or redesigning, your website. Now, we’re going to assume that your business already has a website and that you’re thinking about a redesign—a fresh look. So to help you understand what you should carry over to the new site (and what to leave behind), I’m going to break down where I would start as a consultant, in terms of the overall strategy of a website redesign. Your website should clearly explain how your company or service helps people, and it should take someone no longer than five seconds to figure this out (a.k.a. the blink test). If your business or service helps make people’s lives easier, you need to show it off and make this your focal selling point. Remember, people don’t buy products and services—they buy benefits and experiences. Be proud of how you help people and share your customer stories and eye-popping success metrics! Just make sure you do it in good taste and don’t come across as braggadocious. Redesigning a website gives you a chance to try new things and explore new functionalities, from new landing pages to helpful interactive tools. In order to know what you should add to your new website, you need to have some insight into what might have been missing in the first place. So what sort of content can you add to your new site that didn’t exist on your old website? What tools (comparison charts, calculators, etc) could help move your users down the buyer funnel faster to help drive more conversions? These are questions you will only get answered through persona research, which is a critical step in determining the overall success of your website. By understanding who buys from you and getting to know your customers’ jobs, responsibilities, pain points, fears, etc., you’ll start to understand the kind of tools and content that can help your visitors and hopefully move them further down in their buyer journey. Content that isn’t well thought out or doesn’t serve a purpose in driving conversions should be seen as excess or “fluff”—and you should get rid of it. Any piece of content or imagery that doesn’t serve a purpose shouldn't be there. Make sure there’s a reason or strategy behind every image and piece of content on your website. A website’s success can be measured in many ways, but driving conversions and customers is ultimately most important. Be sure that your content is focused around user benefits and how your service solves a problem. Avoid the all-too-common industry jargon or useless information about the company dog, which at the end of the day only pertains to you. While a redesign can bring a chance for new pages and functionality as described earlier, it can also be an opportunity to clean up your website so you can create an efficient, easily navigable website where users intuitively know where to click and what to do next. The less words and imagery you can use to get your user to take action, the better. There’s no clear navigation, no clear call to action for what to do as a user, and so much information that it’s completely overwhelming—the website definitely does not pass the blink test. Just like writing, you should convey your message as clearly and as succinctly as possible—and utilize whitespace! So many websites are filled with crazy color palettes, vague imagery, and no direction as far as what the user should click on or do next. By keeping your site clean and easy to navigate, you can ensure that the content (and how you help people) is the focus of your website. With a website redesign project, you’re inevitably going to face issues like redirects, SSLs, DNS testing, and 404 errors. But the good news is that all of these items should be accounted for with your development team well before you decide to launch your new site. Once your redesigned site is launched, it’s time to track the impact of the new site so you can compare it to your previous KPIs and see if the new site has improved traffic, conversions, or whatever it is you’re measuring. Visitors, MQLs, and SQLS, time spent on site, and most viewed pages are all good KPIs to start measuring during your first 30 days after relaunch, but it doesn’t end there. Over time, as you accumulate more data, be sure to compare it to previous months and quarters to get a broader sense of the new site’s performance. As you start seeing how users interact with your new site (i.e., what pages they visit or what pages they don’t visit), be sure to keep the above tips in mind so you can continually make decisions about your site that will improve the overall user experience. And it’s important to remember because advertising—or redesigning your company’s website—isn’t going to be the savior of your business. You need a good product or service to begin with. If you provide a great service that helps people get their jobs done, offer exceptional customer support and have a killer sales team—advertising (or a new website) can help speed up the results for your business. On the other hand, if you offer a product or service that is expensive, difficult to use, and you provide lousy customer support—advertising isn’t going to change the results of the business; it's likely going to fail over time. Remember this adage and always strive to provide the best offline service and customer support. Then, fill your new website with real life success stories, how you’ve helped people, and other persuasive content that will make people want to do business with you. Stay tuned for website redesign tips from the perspectives of the development team and creative teams. 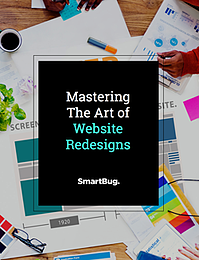 This blog is the first in a series on how to make your website redesign successful. 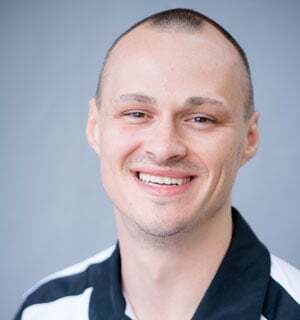 Click the following link to see the second blog in this series, "How to Launch a Successful Redesign That Doesn’t Tank Your Rankings" from the perspective of our development team. Or, jump to the third blog in this series, "How to Make Your Web Redesign Successful (from a Creative Perspective)".